What does that mean? 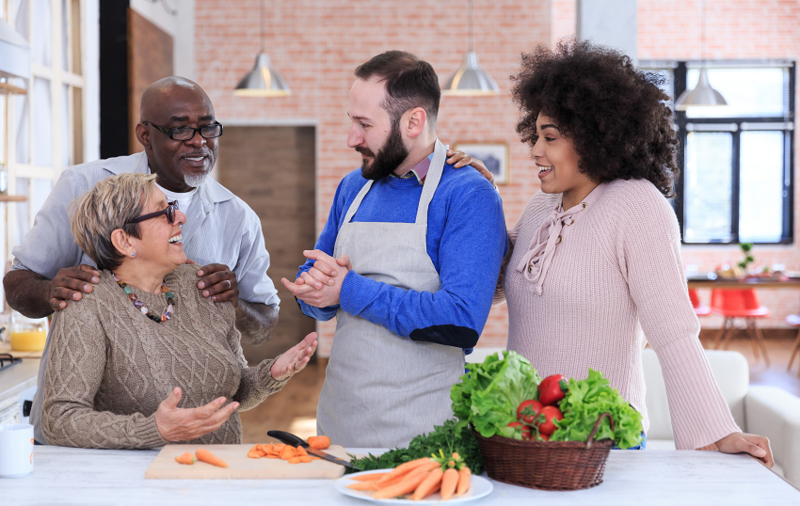 It’s best to cultivate a warm relationship with your in-laws, but ultimately, a new couple’s primary loyalty should be to each other. Here’s how to navigate the minefield of in-law relationships. The light finger your mother-in-law runs over the top of your picture frame in search of dust, or an ongoing quarrel over politics or religion can both cause a rift if you let it. But sometimes it’s best to just agree to disagree. In the end, you’re unlikely to change the voting habits of your in-laws. And you’re probably never going to share the same priorities (housework always came near last on my list, while my mother-in-law vacuumed daily). But it helps if you know your values and resist feeling guilty that you’re not living up to someone else’s expectations. On the other hand, maybe your son or daughter-in-law doesn’t think, act or vote exactly like you. Deal with it. Keep in mind the grandparent’s prerogative. Some grandparents always leave treats on the kitchen table when their grandchildren come for a visit. And they never mind when the kids slide down their highly polished bannister with audible glee. But kids should not suddenly expect the same level of indulgence at their own home. Similarly, if grandparents are overly strict, kids will learn to cope. Here’s the thing: kids can follow different rules in different houses. So don’t worry that the grands are ‘spoiling’ your kids one way or the other. That’s their privilege. Grandparents, on the other hand, need to recognize that – even if you think your grandkids are being raised in an atmosphere that is too lax or too fussy – their parents have the kids’ best interests at heart. Let them make some mistakes and grow as parents. Presumably you did. Try to find common ground with your in-laws. It’s a fair bet that you both think their son or daughter is pretty wonderful, so that’s a start. You might ask them to share stories about his or her childhood to break the ice. Or, ask them to open up about their friends, jobs and hobbies – the things that make their hearts go pitter-patter. They’re people too and everyone loves the opportunity to talk about themselves. Ditto for mothers- and fathers-in-law. Take the time to get to know this new member of your family. You just might learn to love them. Develop a relationship independent of your partner. Instead of immediately handing the phone to your spouse when the in-laws call, take a few minutes to chat. Perhaps send a quick email, Facebook message or just a card now and then to show you’re thinking of them. Ultimately, your in-laws can be part of your support ecosystem. Wouldn’t you rather have them on your side? The same holds true for parents-in-law. And remember, your daughter and son-in-law may be the ones choosing your nursing home someday. So, be nice. The information above is provided for informational purposes only. The views and opinions expressed in this article are those of the author and do not necessarily reflect the position of Foresters Financial. Camilla Cornell is an award winning freelance writer. She writes about all aspects of personal finance, from the real cost of raising kids to budgeting, insurance and retirement planning. Her articles have appeared in The Globe and Mail, Financial Post, MoneySense and Today's Parent, among other publications.